A city is characterized by its people, their way of life and culture that shapes the life of the city. Delhi in a way encompasses two cities, the older part of the city: Old Delhi that represents the inherent character of the city (what the city originally was) and its comparatively newer counterpart: New Delhi that represents the developed character of the city marked by rapid urbanization and infrastructure development (what the city has become). What is fascinating about Old Delhi is not just the crowded marketplace of Chandni Chowk or the eateries at Jama Masjid. But the people who have lived there for generations, and who refuse to move out or shift to the more developed part of the city aptly called ‘New Delhi’. Old Delhi is characterized by the very warmth of the place that welcomes and comforts all kinds of people-migrants, locals and its very own age old residents. From Kashmiris to Afghanis you’ll find them all living in reasonably affordable hotels or rented flats. There can be many factors that prompt migrants to choose old Delhi. Firstly it is located in Central Delhi, the heart of the city and is easily accessible to the rest of the city. Secondly the numerous affordable eateries that cater to all kinds of food and the many affordable markets – from jewellery to clothes to spare parts of cars to old books, everything is available in Old Delhi. Cheap rents is also a major factor, illegal construction enables landlords to add floor after floor to be rented at comparatively cheaper rates. The same reasons can be cited for the age old residents that choose to stay put and not be lured by New Delhi. However another reason that plays an important role here is the sense of a community. Old Delhi is characterized by small and big houses built in close proximity to each other. There are streets and lanes ascribed to particular groups of family that share intimate and personal relationships with each other, there is day to day interaction, a sense of belonging and pride for the community. An idea lost in the fast paced urban life of the city (New Delhi). The community here isn’t an actual entity based on blood, occupation or interest but place. Old Delhi is situated in the Central district of Delhi comprising of sub districts such as Daryaganj, Paharganj and Karol Bagh. Even though the central district is the smallest district in terms of size with an area of 25 sq. km, it is densely populated for its size with a population of 5.7 lakh as per 2011 census and a population density of 23,149 persons per sq. km. 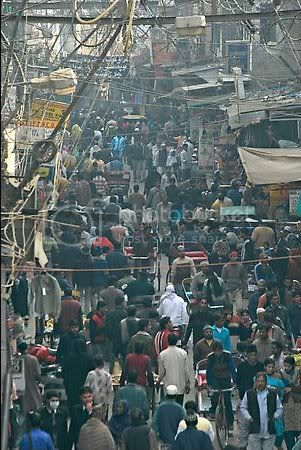 For an outsider the sea of people in the crowded marketplace of Chandni Chowk is uncomforting and unsafe. Whereas for the average resident this very chaos of people is comforting, where everyone knows and looks out for each other. Over crowdedness breeds familiarity for these people, that goes against the very element of “distance” and impersonality in urban life. Even though the fast paced life of New Delhi is replaced by the over crowdedness of Old Delhi, fancy cars are replaced by rickshaws and open spaces by congestion. The very fact that some people choose the Old over the New is fascinating. 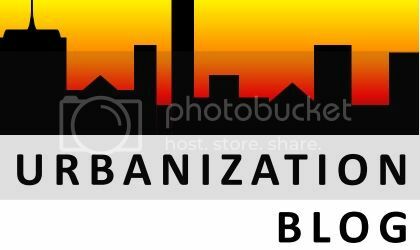 It prompts a deeper question of the old versus the new and whether rapid urbanization is what people really want? Delhi can expand to Gurgaon and Noida and to better standards of living. But there are people that need nothing more than they already have.